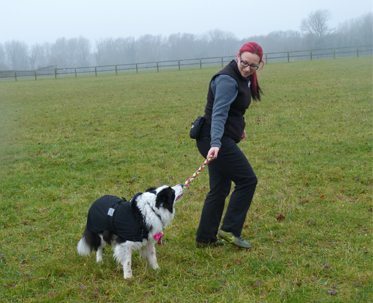 Happiest Hounds Dog Training offers classes in the beautiful, picturesque village of Bramfield, near Hertford at a newly refurbished and extended indoor hall with adjacent large field. Bramfield classes are held at Bramfield Village Hall, Bury Lane, Bramfield, Hertford, Hertfordshire SG12 2QL. Puppy classes held here each Wednesday morning (10:45 am) and Adult Dog Activities classes are held at Bramfield Village Hall on Wednesday lunchtimes at 11:55 am. The beauty of the classes held at Bramfield is that you can start any Wednesday that there is a space. No need to wait for a specific intake date! Start at your convenience when a space is available. “Saturday mornings are the most exciting in our household, Joe and Ted cannot contain their enthusiasm.